How Far is Ramalingeswara Township? Ramalingeswara Township Located along the border of Vizag and Vizianagaram, Chelluru is an alluring town with vast stretches of foliage. And amidst this beauty lies Ramalingeswara Township, another infrastructural venture of Swathi Promoters. Cocooned in greenery, Ramalingeswara Township is an oasis of peace far from the hustle bustle of the city. 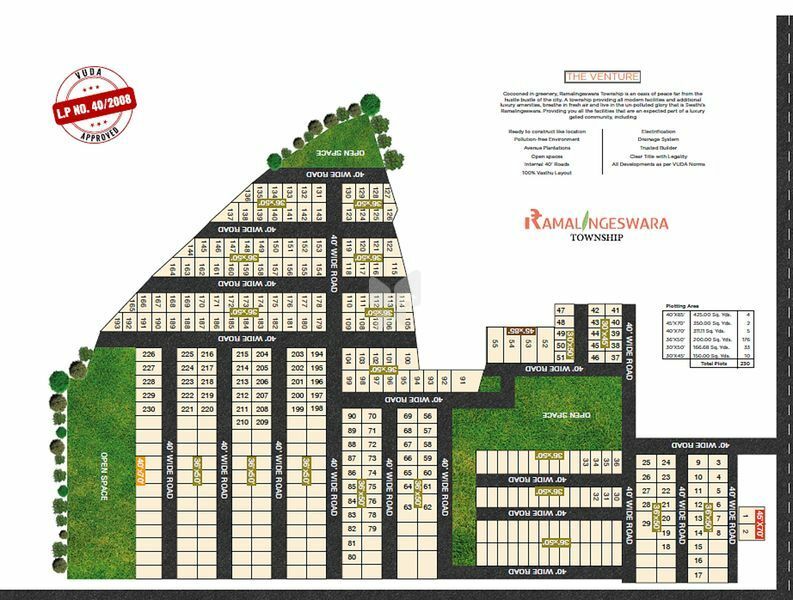 A township providing all modern facilities and additional luxury amenities, breathe in fresh air and live in the un-polluted glory that is Swathi’s Ramalingeswara. Providing you all the facilities that are an expected part of a luxury gated community.